As a delegate for your chapter or alumni association, you will represent your group during the election of new Executive Council Officers, Proposed Amendments to By-Laws, and any other voting matters that may come up at GAC. The majority of the committee work will occur on Thursday of the GAC. 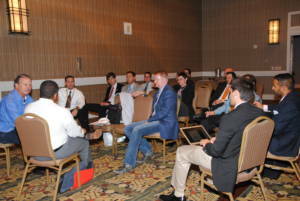 Your involvement is vital to the growth and development of Phi Kappa Psi. Please take some time to consider the committee that you are most interested in taking part in during the GAC. You will be able to find a location for each committee meeting in your program book upon your arrival. Please register for the committee you wish to serve on before the conference by clicking this link. This committee will review and discuss the Fraternity’s engagement with alumni. Topic areas will include Chapter Advisory Teams, Alumni Associations, House Corporations, Alumni Training and increasing alumni involvement. This committee will discuss the strategy and mediums that are used to communicate to constituents of the fraternity, including: Alumni, volunteers, undergraduates, parents. This committee will review proposed amendments to the Constitution, Bylaws and Rules of Phi Kappa Psi and make recommendations to the Grand Arch Council regarding each proposal. This committee will discuss the strategy currently in place to grow the number of Phi Kappa Psi Chapters, including the set standards to qualify possible chapters, expectations for new colonies and a general report on the continued development of the expansion process. This committee will review and discuss the finances of the fraternity from 2016 – 2018. This committee will review and discuss changes to the new member education program and process as well as the development of continued education for undergraduate and alumni members. This committee will discuss the policies and practices currently in place to maintain/enhance the recruitment and retention of undergraduate members. The Philanthropy Committee will discuss the Fraternity’s new philanthropic focus on addressing poverty issues, the rollout of 2019 Service Immersion Trips, and the overall philanthropic impact of Phi Kappa Psi over the last biennium. This committee will discuss the rituals of the fraternity, including the fraternity’s ceremonies. This committee will also engage in conversation and education surrounding the fraternity’s history. This committee will discuss the academic performance of chapters and review academic policies and material for chapters. 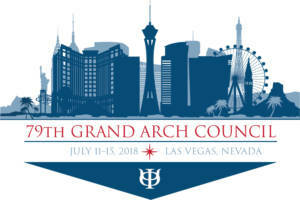 The Committee on the State of the Fraternity shall inquire into the condition of the several organizations of the Fraternity, and report thereon to the Grand Arch Council.